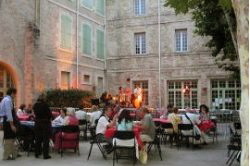 Pezenas sits on the plains between the Haut Languedoc National Park and the Mediterranean coastline. Surrounded by vineyards and picturesque villages, it is a mere thirty minutes from both clean sandy beaches and beautiful rugged hill country inland and fifty minutes from what is surely one of the world’s most attractive cities – Montpellier. It is also within an hour from several other important historic cities such as Beziers and Narbonne. Added to that the charm of a beautifully preserved town centre with its narrow streets, elegant turn of the century architecture, alleys and squares where Moliere famously spent his days, and you have the ingredients for a beautifully positioned location for that maison secondaire. Today a number of writers and artists have made Pezenas their home, and the historic centre has become a well–established bohemian haven of open studios, boutique stores, antique dealers and artisan craft workshops – ideal for an afternoon browsing. Although small enough to be friendly, Pezenas is also big enough to offer cultural events, diversity, good facilities, and year round shopping including a Saturday food market featuring delicious local produce. It gets busy in the summer with the draw of tourists. In common with most Languedoc towns the crime rate is low, the pace of life is slow and the living is easy. If living somewhere relatively cheaply with a high quality of life is what you are looking for, then Pezenas has plenty to offer. The immediate vicinity has rivers to swim in, gorges to discover, vineyards to admire, charming circular villages and many affordable places to eat well. Popular for some time with foreign property investors, Pezenas has an active ex-patriot community, which has integrated well into the fabric of local life. And the town offers all the local amenities you’d expect including a small hospital, primary and secondary schools, a theatre, a cinema and numerous cultural and sporting associations. Pezenas is also shielded from the worst of the Mistral and the Tramontane winds, as it sits in-between the air flows of the two currents, catching the tail of the winds from the Rhone valley, and the tail of the Tramontane coming up the valley from Narbonne and Perpignan. It is perhaps worth pointing out that like anywhere else in the Languedoc this area benefits from blue skies most of the year round, mild and short winters and long and hot sunny summers. 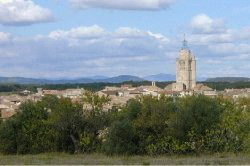 Pezenas is easily accessed via both the A75 and A9 motorways. The nearest airport 25 minutes away at Beziers-Cap d’Agde (with Ryanair routes to the UK), and Montpellier International Airport is about 50 minutes drive. The TGV runs into Montpellier where you can connect to the SNCF network in to the centre of Pezenas. So what of property prices in the area? Pezenas, like most of the Languedoc-Roussillon, experienced a price boom earlier in this decade, which drove prices up by 40% – 60% over four years. The recent economic crisis has of course affected prices. According to statistics from the FNAIM* January 2009 report Languedoc-Roussillon as a whole saw an 8.3% drop in property prices in 2008, seen by some commentators as a necessary readjustment to what was becoming a highly over-priced market. 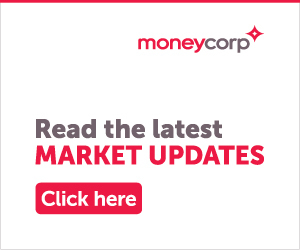 The overall effect of this on Pezenas has been to cut the soaring price of inflation and bring some stability back into the local property market. 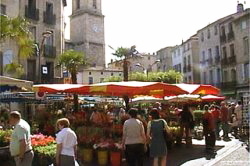 Since that initial stabilisation in 2008, prices in Pezenas in the first quarter of 2009 haven’t actually fallen very much more, and indeed there are signs of a mini-boom in the area with a recent report showing a 0.3% monthly rise in the average price per square metre (€2307 in March 2009 compared to €2146 in February 2009). However what is also happening, according to a number of estate agents, is that vendors have become more realistic about what they can expect to get for their houses, and although there are fewer non-French buyers around today, the ones that come are more serious about buying. Pezenas’ proximity to the thriving regional capital of Montpellier, and vastly improved motorway links has certainly increased the town’s popularity for both foreign and local property investors. 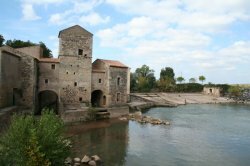 There are also a number of really picturesque villages around Pezenas, such as Caux, Roujan and St Thibery which attract those looking for a more rural environment. Added to the fact that prices here are still markedly lower than those in areas such as the Petit Camargue and the Vaunage to the east of Montpellier, Pezenas should be considered as a property hotspot that is likely to withstand further fluctuations in the property market. The medium to long-term future for your investment is positive. The population of the Languedoc is expected to rise faster than anywhere else in France, with the majority of people looking to establish themselves in the Montpellier area. 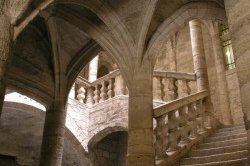 Our prediction is that the elegant charm, excellent amenities and ideal location of Pezenas will guarantee that it continues to draw interest from people looking to have the best of everything the region has to offer. So, if you have the opportunity, now would be an excellent time to buy in Pezenas! 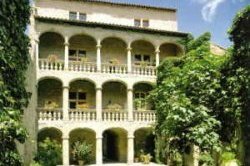 • Click here for Pezenas Property for Sale featured on FrenchEntrée.